Before you can remodel a kitchen, a bathroom, or another area of your home, you’re going to need to come up with a budget for your project. Otherwise, you could end up planning the perfect remodel, only to find out that you can’t actually afford it. Or, worse, you could end up completing a remodel and digging yourself deeper and deeper into debt in the process. A budget will help you spend what you can afford while giving you the remodel of your dreams. Here’s how to go about making a budget for a remodeling job. Try to ballpark the final cost. Before you start the process of budgeting, it’s good to have a rough idea of how much your remodel might cost you. 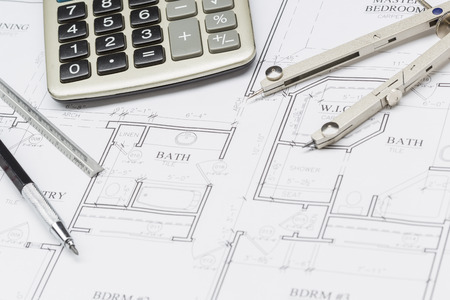 Sit down and estimate how much each aspect of your remodel will run you. From individual building materials to labor, you should be able to come up with a ballpark figure for how much you’re going to have to pay for a remodel. Figure out exactly how you’re going to pay for the remodel you want. Once you know approximately how much a remodel will cost you, think about how you’re going to pay for it. Are you going to use money from your savings account? Are you going to apply for a loan from the bank? Is a home equity loan something that might make sense for you? By deciding how you’re going to fund your remodeling job, you can see if you have enough money to pay for it based on your initial projections. Speak with contractors in your area and ask for quotes for your remodeling project. Once you feel confident that you’ll be able to afford your remodeling project, contact several contractors in your area and ask them to give you a quote for how much they would charge you to remodel your home. The quotes you receive will either confirm that you can, in fact, afford your remodel or show you that you might need to rethink your budget before moving forward. Reynolds Home Builders can provide you with a quote for our remodeling services once you have your budget in place. We can help homeowners with kitchen remodels, bathroom remodels, and more. Call us at 850-508-5076 today to get started.